The Apple Watch Sport Band now comes in blue, papaya, and spearmint colors, while the Sport Loop (that's the soft breathable band with the hook-and-loop) comes in spearmint, lilac, papaya, or cerulean. All of these cost £49. Those also cost £49. 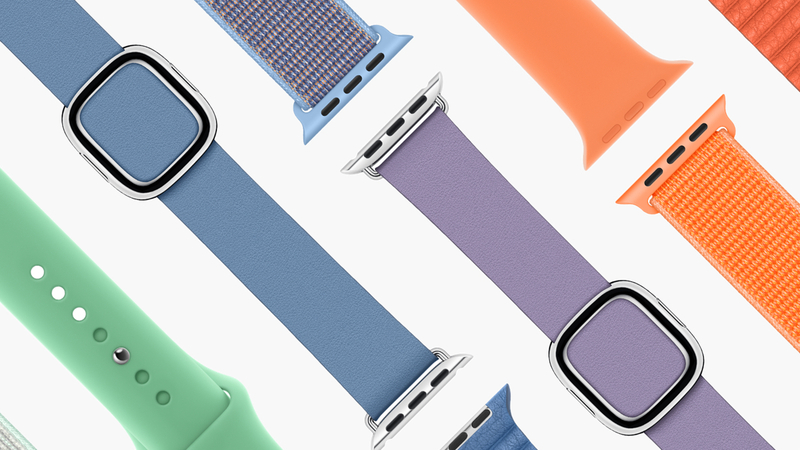 Then we've got three new colors for Apple's Modern Buckle strap - cornflower (light blue), sunset (orange), lilac - and two new Leather Loop options also in cornflower and sunset. These are pricier at £149.